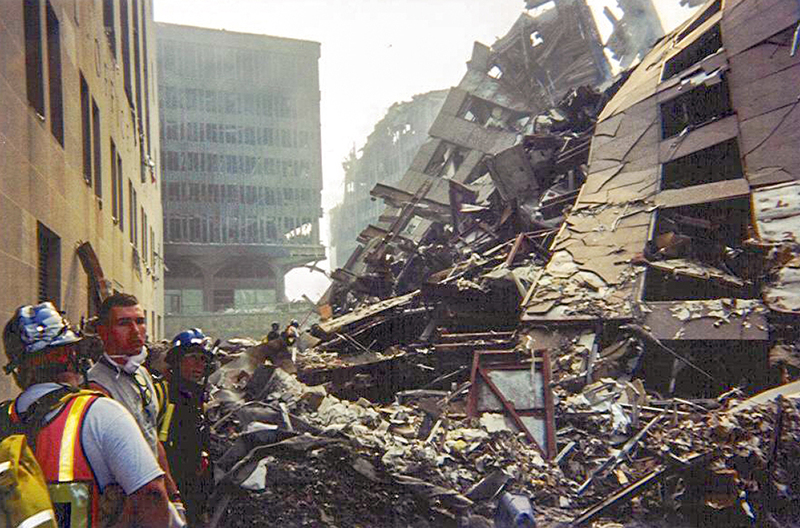 Firefighters conduct searches amongst the rubble at Ground Zero following the 9/11 terrorist attacks. When a plane crashed into the North Tower of the World Trade Center at 8:46 a.m. on Sept. 11, 2001, Russ Shoaf was en route to Lafayette from Pike Township Fire Dept. to teach a confined space class. During the trip, Shoaf was listening to a CD, not the radio, and knew nothing of the terrorist attack. Upon arrival, a firefighter with the Lafayette Fire Dept. told the Pike Township crew what had happened. Shoaf raced home, grabbed his pre-packed bag, kissed his wife and told her he would see her later, and left. He went to the Indiana Task Force 1 headquarters in Indianapolis. INTF-1 deployed 62 members and four K-9s by 5 p.m. Sept. 11. The group reached New York at 9:25 a.m. the following morning. From then on, Urban Search and Rescue teams worked 12-hour shifts until they departed from New York Sept. 19. 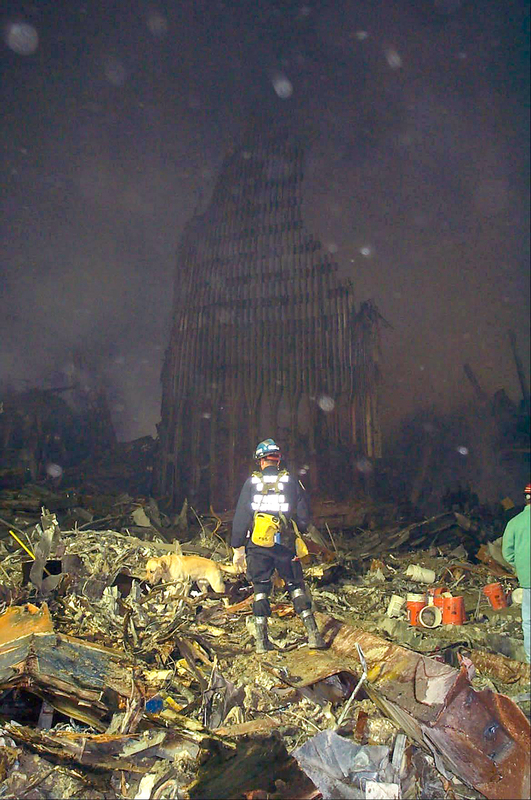 “(Shoaf’s) role during 9/11, he was a rescue specialist, and his role as a rescue specialist would’ve been working through the rubble at Ground Zero and searching for those that perished during the collapse of the World Trade Center,” INTF-1 coordinator Tom Neal said. Shoaf said during their searches, INTF-1 teams were accompanied by an FDNY firefighter or an NYPD officer. This was done so when the teams located a victim in the rubble, FDNY or NYPD would take care of their own by moving the body. Shoaf said one of the searches that stands out in his memory is when he and his team entered a building which faced the World Trade Center. The face of the building had been torn off when the Twin Towers collapsed. Shoaf speculates a firefighter was trying to escape, possibly while rescuing someone, by rappelling off the building. They never discovered what happened to the firefighter who may have tied the knot. At Ground Zero, Shoaf said everything was pulverized into debris, none of which was identifiable. Some of the searchers’ assignments consisted of collecting body parts. During the time INTF-1 was in New York City, Shoaf said team members were escorted to Ground Zero on Humvees with military personnel manning .50-caliber machine guns. No planes other than military fighters were allowed in the sky. Shoaf was 44 when he was deployed to Ground Zero. Now 61, he still is a member of the task force. Of the 62 members from INTF-1 deployed to Ground Zero, three have died from cancer. 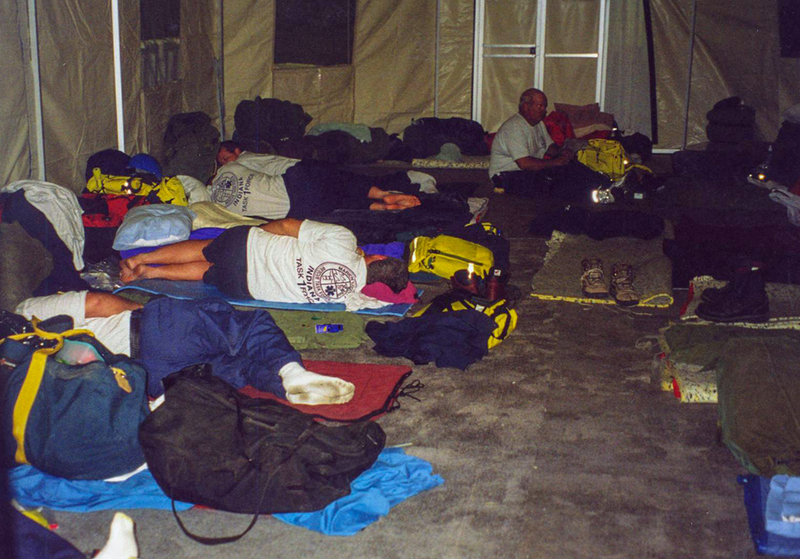 Of the 62 INTF-1 members deployed, 48 percent have experienced an illness or cancer from being at Ground Zero. Shoaf is no exception. 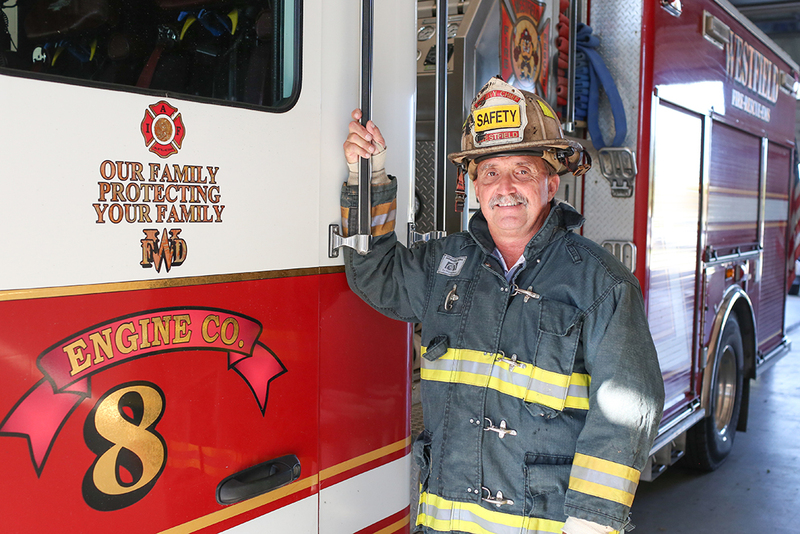 Now, Shoaf is the deputy chief of operations at Westfield Fire Dept. He joined WFD five years ago. Through his involvement with INTF-1, he also has been deployed following events such as Hurricane Katrina and Hurricane Rita, among other national emergencies. He said he’s been on more than six deployments. Westfield Fire Dept. Deputy Chief of Operations Russ Shoaf said when he was deployed with Indiana Task Force 1 to serve at Ground Zero immediately following 9/11, his wife was the glue holding his family together.